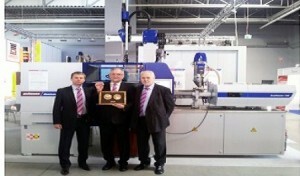 At the recently concluded Plastpol 2013, Austria-based Wittmann Battenfeld has won the first prize in the category of machine and process technology with its new In-Mold Internal Welding (IMIW) process. IMIW has made it possible to overmold inserts with gas- and watertight sealing. The connection is made directly between the contact surfaces by joining the two injection-molded plastic halves from inside, using the same plastic material the parts are made of. According to Wittmann Battenfeld, the finished parts show neither a ridge nor a welding bead, the weld seam has high load capacity. This process, for which Barkley, UK has developed the mold technology and the equipment is marketed by Wittmann Battenfeld, is of special interest for Radio Frequency Identification (RFID) technology. 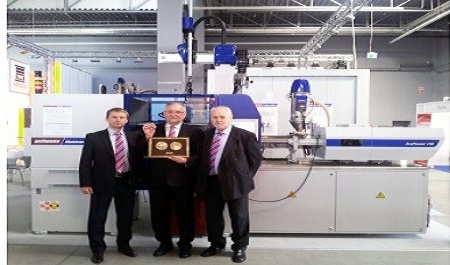 At the Plastpol, this process was demonstrated by overmolding an electronic part on an EcoPower 110/350, an all electric machine from Wittmann Battenfeld’s PowerSeries.Plastpol 2013 was held in Kielce, Poland from May 7-10.